Now on display in New York at the Onassis Cultural Center (645 Fifth Avenue), Post-Byzantium: The Greek Renaissance is one of the nicest small-scale exhibitions I have ever seen. Subtitled 15th-18th Century Treasures from the Byzantine & Christian Museum, Athens, it presents 54 objects including icons, frescoes, early books (manuscript and printed), and liturgical metalworks and robes. Given the basic goal of the exhibition--"We wanted to make the post-Byzantine period better known to the public"--Eugenia Chalkia, the museum's deputy director and curator of the show, has made an outstanding selection of artworks. Many people believe, says Chalkia, that with the fall of Constantinople in 1453 there was an end to artistic creation in the Byzantine tradition, but there was continuity and important works were created in the following centuries. Each of the objects on display proves her point. The icons and triptychs (small three-paneled icons for private devotion or for use on travels) are the highlight of the exhibition. The most important post-Byzantine center for these was Crete, where painters sought refuge under the protection of Venice after the fall of Constantinople. There's an imposing mid-fifteenth century painting of Saint John the Baptist by a Cretan painter, but what impressed me more was the versatility of Cretan artists, embodied by Michael Damaskenos of the sixteenth century. Four icons by him are on display and show his ability to create extraordinarily beautiful works for Orthodox clients in the Byzantine style and for Catholic clients in a Venetian style. Only two fresco fragments are in the show, a sixteenth-century head of a saint by a Cretan artist and Saint Anne, dating from the eighteenth century but in a severe, Byzantine style. Of the four early books on display, two are pilgrim's guides to Jerusalem. One of these, a late-seventeenth-century manuscript, has neat calligraphic script and exquisite miniatures depicting holy sites. There are a number of liturgical vessels and implements, notably a gilded silver crosier with precious stone, enamel inlays, and delicate filigree work, showing the magnificent metalwork in the Byzantine tradition that was made during the seventeenth and eighteenth centuries (later than the peak of painting, which was more important in the first centuries after the fall of Constantinople). To demonstrate continuity in metalworking, a gilded filigree reliquary cross with carved steatite plaques, which dates from the last decades before 1453, is placed side-by-side with one made during the sixteenth or seventeenth century. Religious vestments made of costly materials--silk and velvet, embellished with gold and silver thread and pearls--complete the exhibition. Unlike the icon painters and metalworkers who were men, the artists who created these were women. The exhibition gives an idea of the scope of the Byzantine & Christian Museum's collection, which includes objects gathered by the Christian Archaeological Society in the late nineteenth and early twentieth centuries, others brought by Greek refugees from Asia Minor in 1923, as well as individual donations and excavated material, especially from Athens and its surrounding areas. Expansion of the museum in Athens is under way, says its director, Dimitrios Konstantios. Currently about 400 objects from the collection are on display. That number will jump to 2,400 when the new exhibition areas are opened to the public in 2004, making it the world's largest Byzantine and post-Byzantine museum. A tribute to those who, living in areas dominated by the Ottomans and Venetians, kept the artistic legacy of Byzantium alive, Post-Byzantium: The Greek Renaissance, which opened on November 7, runs through February 28, 2003. Hours are Monday-Saturday, 10:00-6:00, and it is free. After New York, it travels to Rome, where it will be exhibited at the Capitoline Museum in Rome in April-June, 2003. Post-Byzantium: The Greek Renaissance is sponsored by the Alexander S. Onassis Public Benefit Foundation. 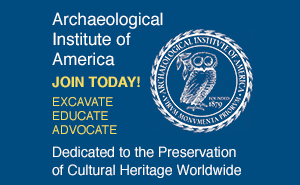 It is worth checking the foundation's website (www.onassisusa.org) periodically for announcements of temporary shows. Recent ones have featured Cypriot archaeology and modern gems inspired by ancient Minoan ones. 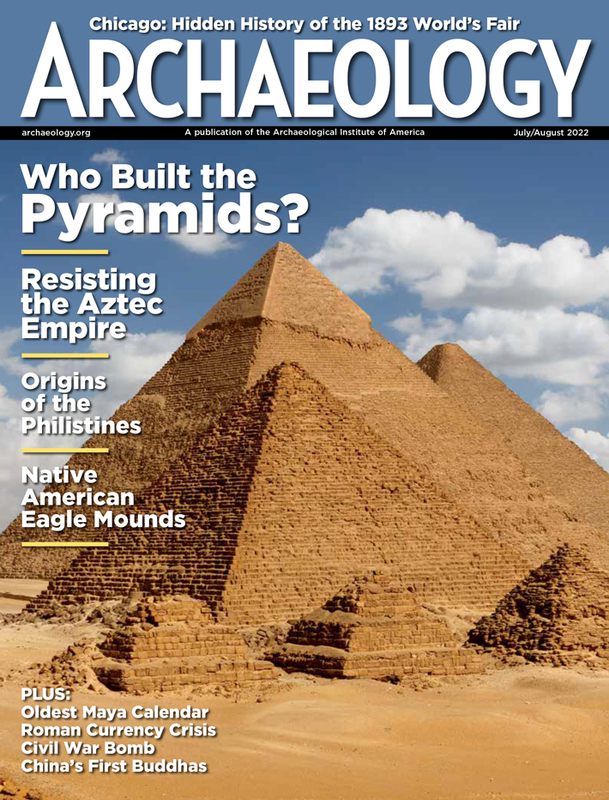 Mark Rose is the executive editor of ARCHAEOLOGY.